Here are a few random things I’ve created, built and been involved with in and out of hours. Artist and fellow ad creative Scott Kelly set out to analyse the differences between graffiti in men’s and women’s bathrooms. Making some nice looking posters for the series. Working together we created an interactive online showcase for his work. 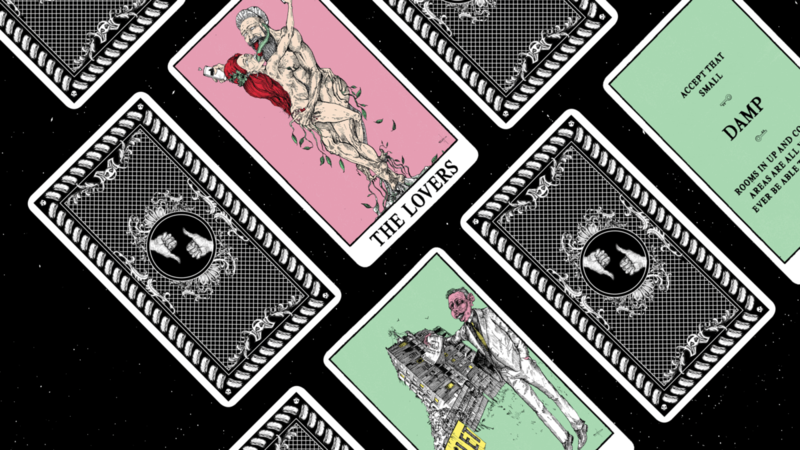 Updating tarot cards to tell modern day fortunes for halloween. 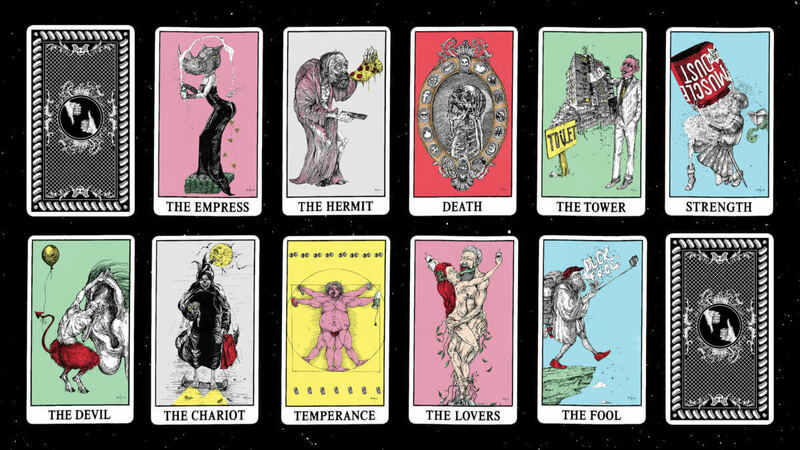 Teaming up with the artist Stedhead to create a playful contemporary twist on traditional tarot cards. 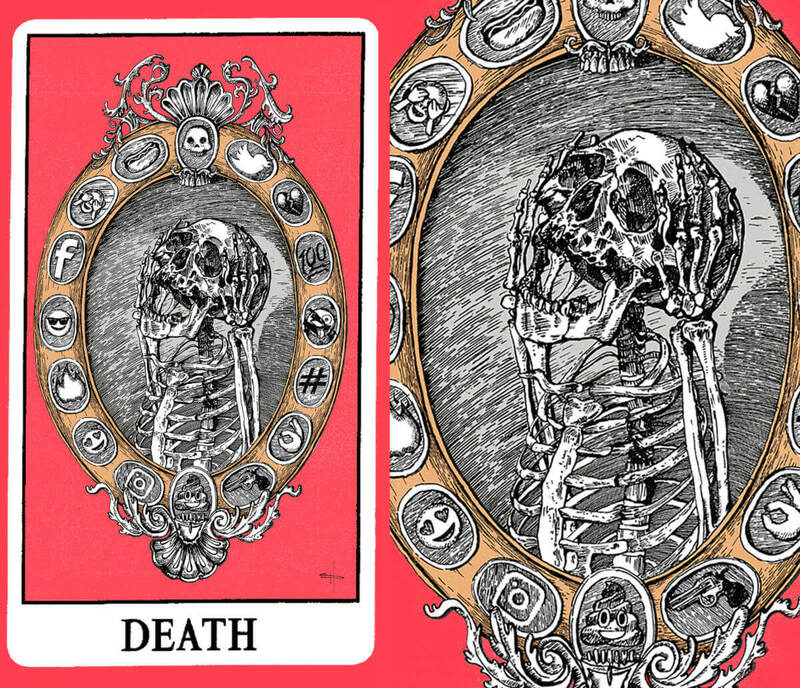 Each card has been redesigned to be relevant to today’s first world problems. 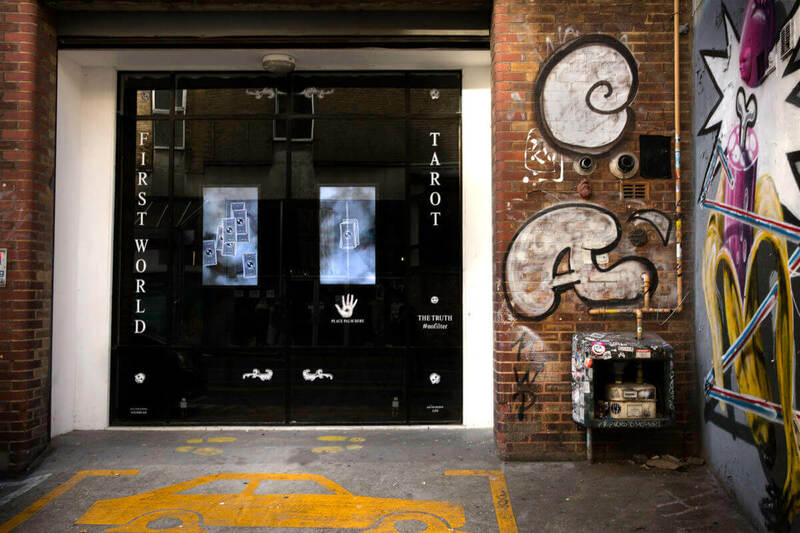 The redesigned deck was exhibited in an interactive fortune telling installation at the W+K London office, accompanied by a custom soundscape with a spooky voice over. 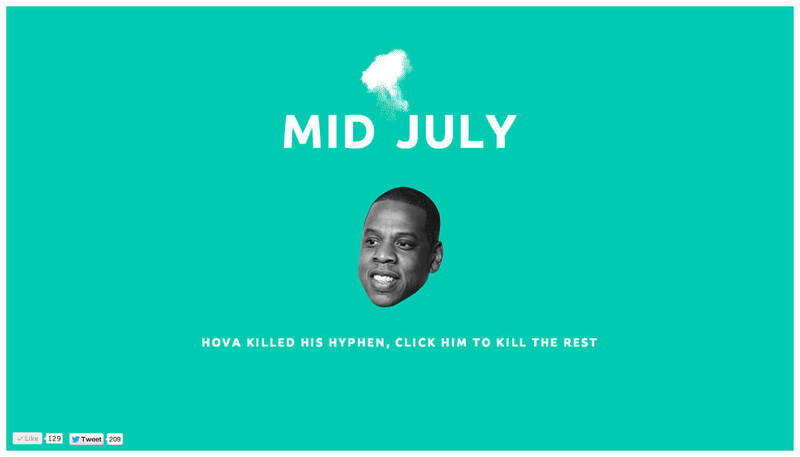 Jay-Z announced to the globe he was dropping the hyphen in his name to become Jay Z. The news of this tiny dash sent the internet nuts. 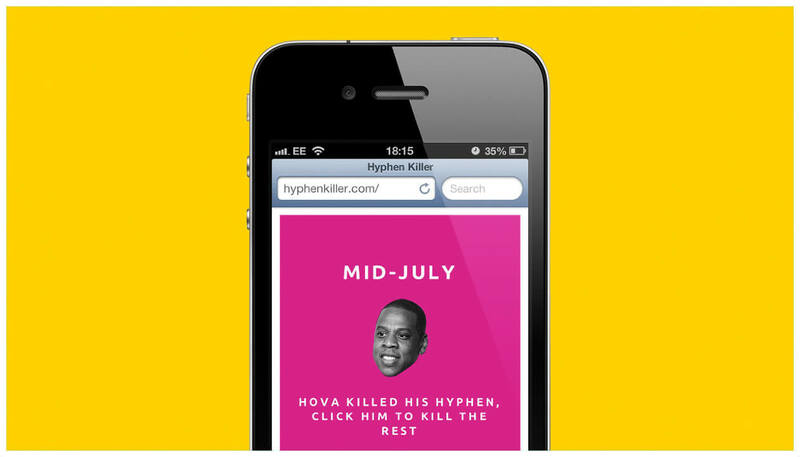 We created Hyphen killer a site that would allow you to team up with the big man and exterminate more hyphens around the internet. 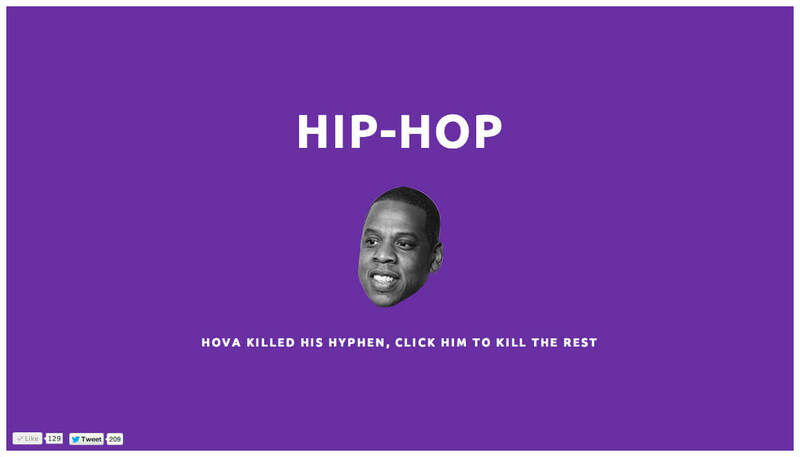 The site was picked up by various music blogs across the States, we even got interviewed by a hip-hop magazine. Project ‘Do’ is an idea I dreamt up and prototyped. I wanted to explore the data being collected by fitness trackers and asked what could I create that would motivate folk to stay on track and reach their activity goals each day. The idea: ‘Do’ – a web service and Chrome extension that hooks up your online browsing activity to your real-world physical activity. In a deprivation strategy (Jon Steel – would be proud of) ‘Do’ would lock you out of the sites you loved most until you did… a little more. The web service taped into the FitBit API; and used a custom algorithm that at any point could forecast how close a user was to completing their goals, before judging how much of a facebook fix they were entitled to. 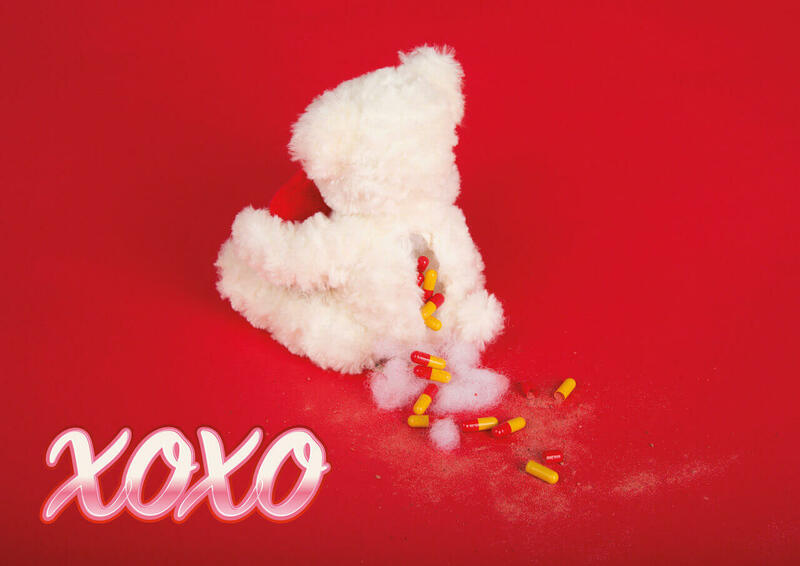 For Valentine’s day, working with a couple of pals, we made L.U.V Drugz. 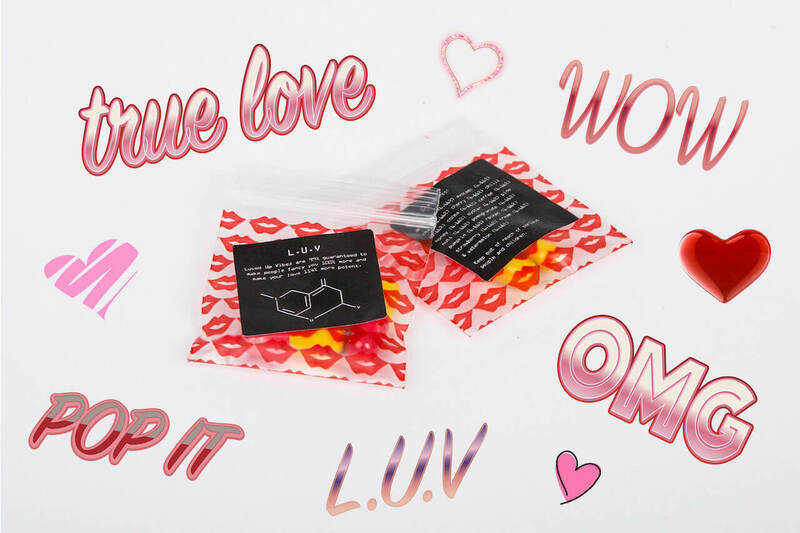 An experimental concoction that combines 15 of the most common (and potent) aphrodisiacs known to man, cut together to make one big pill bursting with true love. 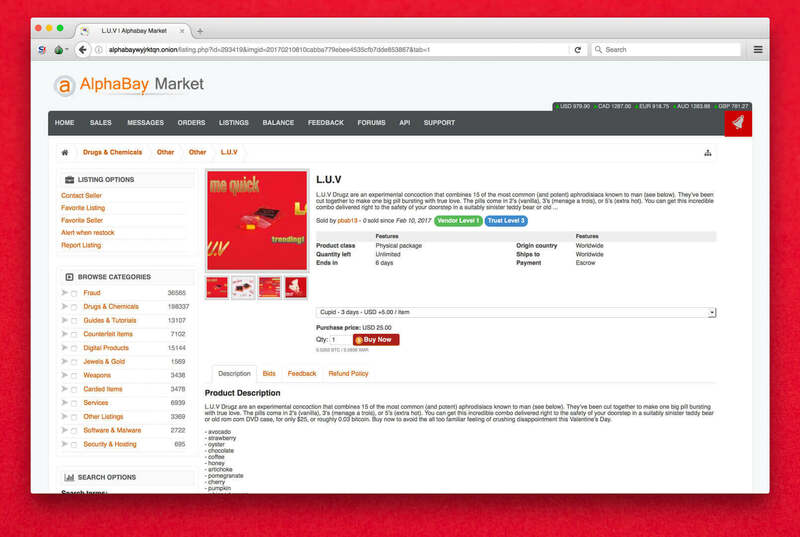 We sold them over the Dark Web on Alpha Bay, the eBay of the internet underworld. You can get this incredible combo delivered right to the safety of your doorstep in a suitably sinister teddy bear or old rom-com DVD case, for only $25, or roughly 0.004 bitcoin. With all the opinions and data flying around in the days leading up to the ‘Brexit’ vote, we wanted to find a way to collect all the poll data and simplify it in a visual way to make it clear, are we in or out? Brexit Belly was born. 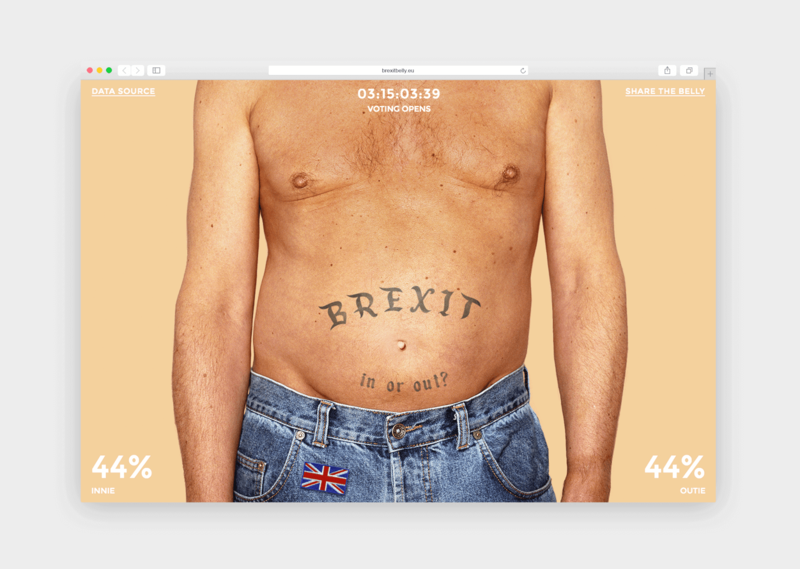 Scrapping a number of key opinion poll websites, the belly button moved from in to out depending on the real-time data. It also provided key information counting down to events such as the closing of voter registration, voting opening and voting closing. A couple of thousand people visited our online belly, and 28% of people clicked through to learn how to register. A small success in a torrid state of affairs. Ironically, when brexit sadly goes through, I’ll have to surrender the .eu domain. 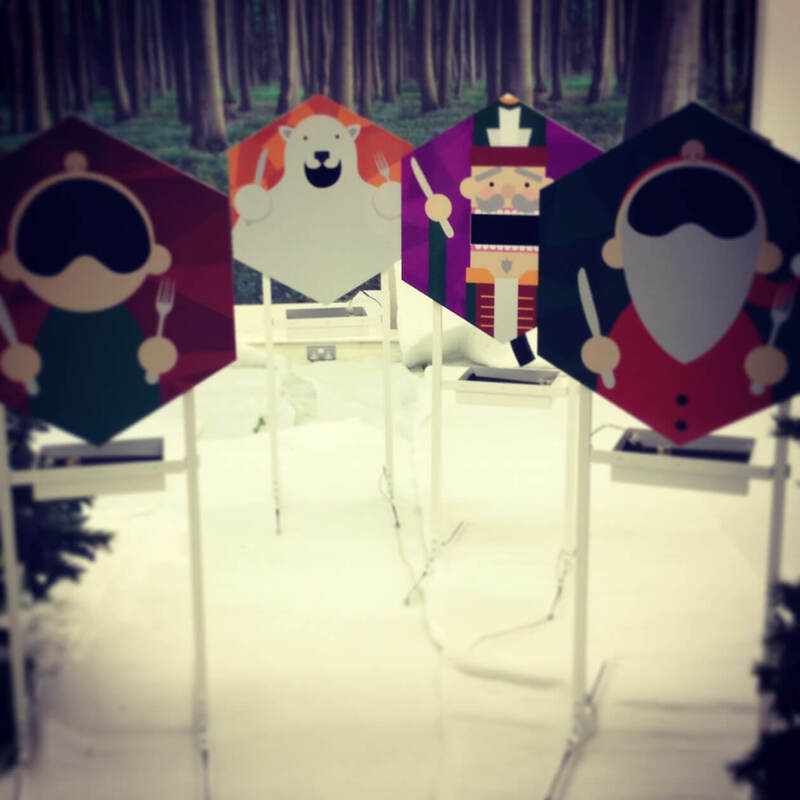 Ad agencies love doing weird stuff come Christmas, and they love doing that with little or zero spend. 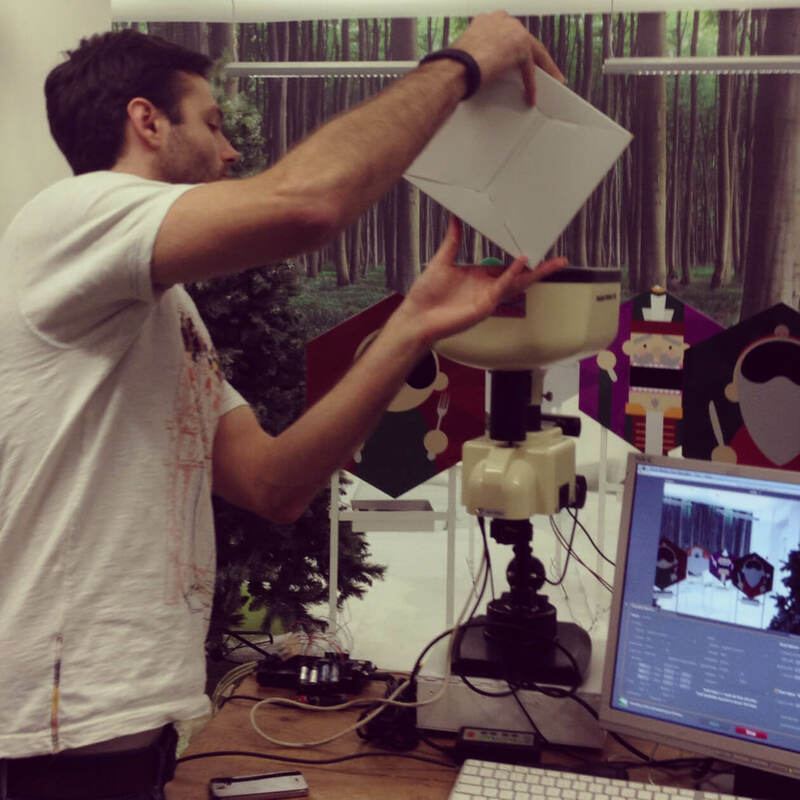 I came up with and built ‘Sprout Shooter’ an Arduino micro-controlled game that allowed clients to shoot sprouts (green ping pong balls) through the mouths of festive targets from the comfort of their desks.